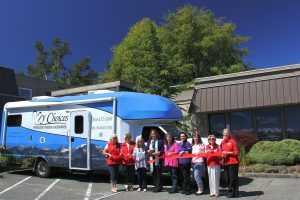 Obria Medical Clinics Pacific Northwest, formerly My Choices, is a pregnancy center that has served the communities of Port Angeles and Sequim since 1984. Every day comes with new choices. Our goal is to empower and enable our clients to make safe and informed decisions for their future. Our friendly staff and volunteers are here to serve with love and compassion. All information is confidential to the extent allowed by Washington state law.